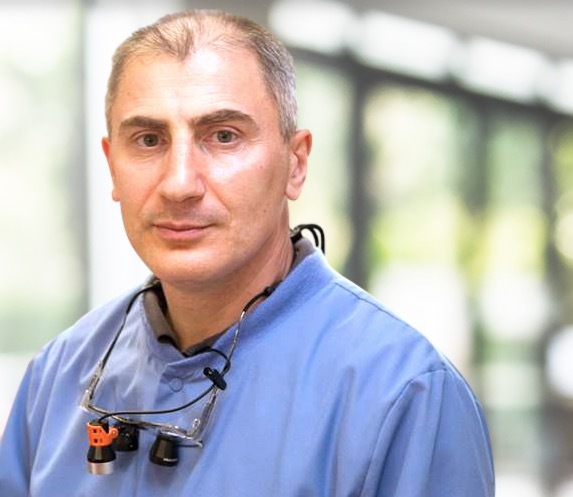 Dr. Sergey Tatulyan has over 30 years of dental experience and has been providing outstanding dental care to his patients since 1987. As a strong believer in continuing education and as a way to ensure that his patients receive the highest quality dental care, he has completed many hours of continuing education classes which includes extensive training in Prosthodontics, Invisalign (Certified provider), Lumineers, the Endo Restorative Continuum, an extensive eight-month training in Implant Dentistry in UCLA and many more. For many years he was the Lead Dentist in a multispecialty office in California. “In our office we strive to provide high quality dental care to our patients in a friendly, comfortable and family-oriented environment. We believe that quality and reliable dental care should be affordable to all our patients. Our approach to dental treatment starts by carefully listening to each patient’s concerns and answering their questions. Our commitment to our patients is to provide quality, painless and reliable dental care. We want to help you to feel more healthy and self-confident by transforming your smile. Dr. Sergey Tatulyan is married and has two children. He enjoys spending time outdoors with his family and friends. His hobbies include art, music and sports.